We’ve run texture bundles in the past, but nothing like this. 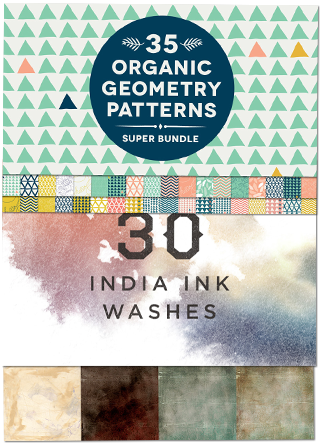 This is one of our biggest bundles ever, bringing your thousands of best-selling patterns, textures and backgrounds. Best of all, theres a HUGE amount of variety in this collection. 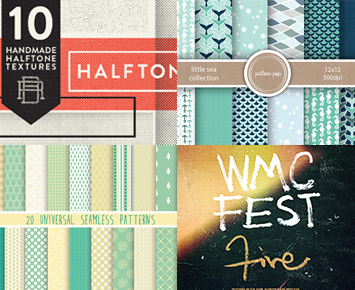 You get everything from watercolour washes, to vector halftone textures, seamless vintage patterns and so much more! We’ve had a lot of recent community requests for patterns, as you guys know how useful they can be for your regular design work. Patterns work great as backgrounds or overlays, and can be used for everything from posters, to iPhone cases, to website backgrounds. They’re hugely versatile, and an essential part of any designer’s arsenal. 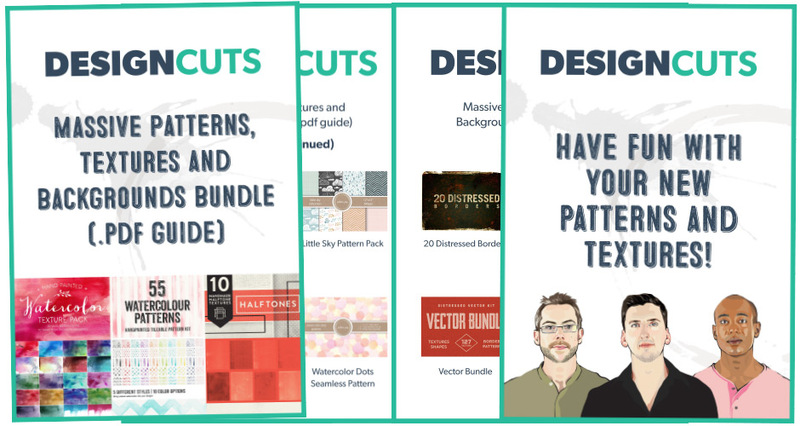 However, we wanted to make our first patterns bundle something truly amazing for you guys. That’s why we’ve not only included hundreds of best-selling, beautifully creative pattern packs in this deal, but we’ve expanded things to include a variety of gorgeous textures, digital papers and other cool backgrounds. You get thousands of incredible resources in this bundle, and all for 95%! We went all out on the variety in this bundle. 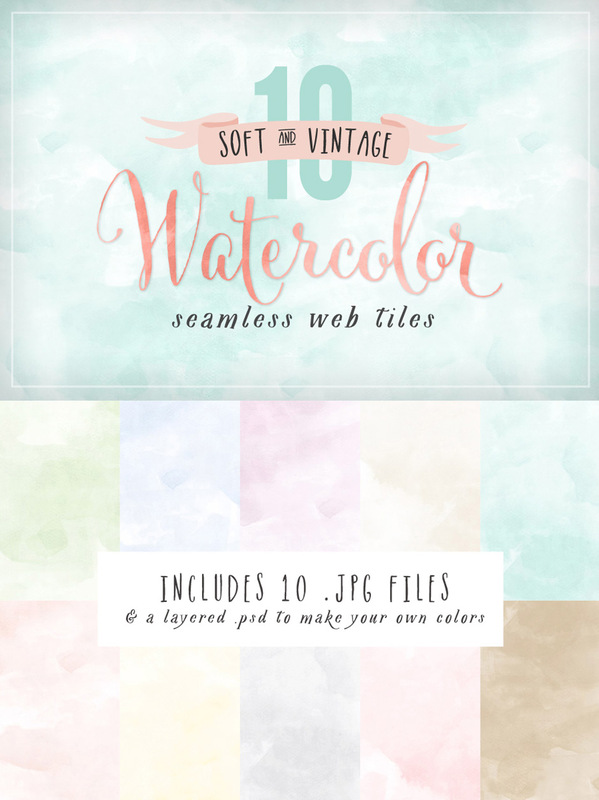 This is a truly comprehensive collection, bringing you hand-drawn patterns, vintage overlays, paint effect backgrounds, vector textures, grungy overlays, seamless tiles and so much more. Our previous texture bundles have conformed to one particular style, but this collection is so huge it brings you an endless selection of useful items. This feels more like three deals in one, bringing you the most popular, high quality patterns, textures and backgrounds we could find anywhere. As these items are all best-selling, very professional items, so there’s no sacrificing quality. Textures are super hi-res. Vector images come in a range of formats, including Photoshop compatible formats. Patterns tile seamlessly, and also include vector versions for scaling purposes. Hand-drawn resources are pixel perfect, with a beautiful eye for detail. These are quality items, and should last you for years. Of course this wouldn’t be a Design Cuts deal without extended licensing (meaning you can use these items in work you resell). We’ve also included a handy .pdf guide for navigating this massive bundle with ease. There is a HUGE amount of resources on this page, so we recommend taking the time to scroll through it all. 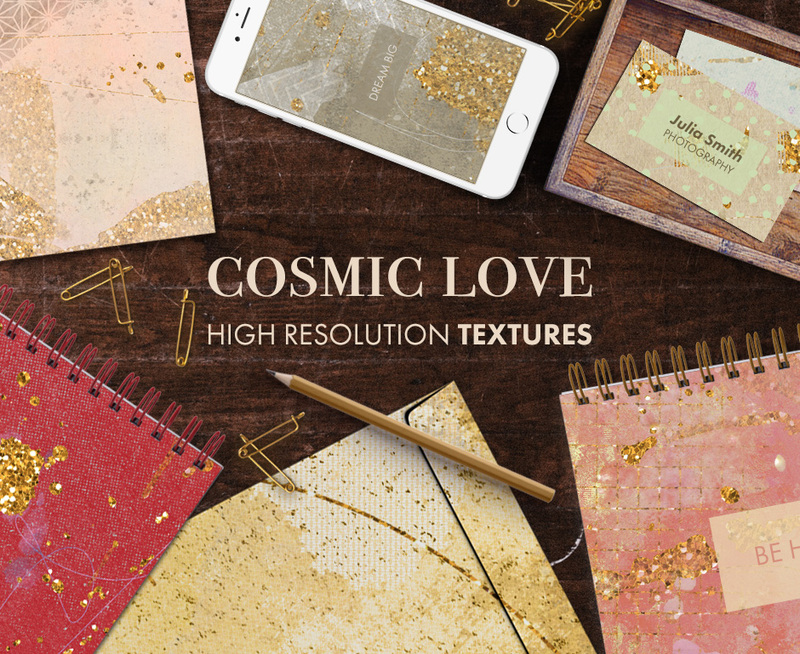 We hope that you get a ton of use from this new bundle, and love using your new patterns, textures and backgrounds. I’ve had a few requests for some watercolor backgrounds, so I thought I’d break out the old brushes and paints and have some fun! Each texture is roughly 8 X 10 in, RGB and 300 dpi. 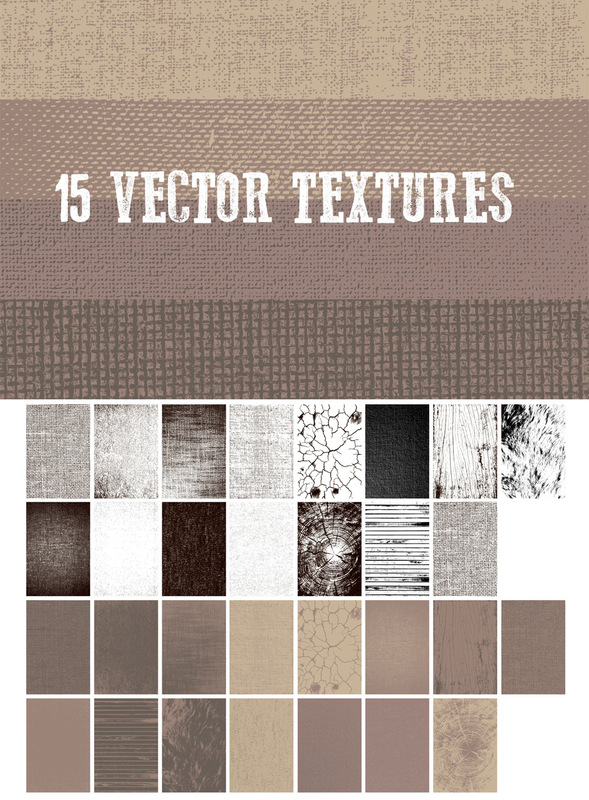 15 vector textures, all created in Illustrator CS5. Scalable to fit any project. 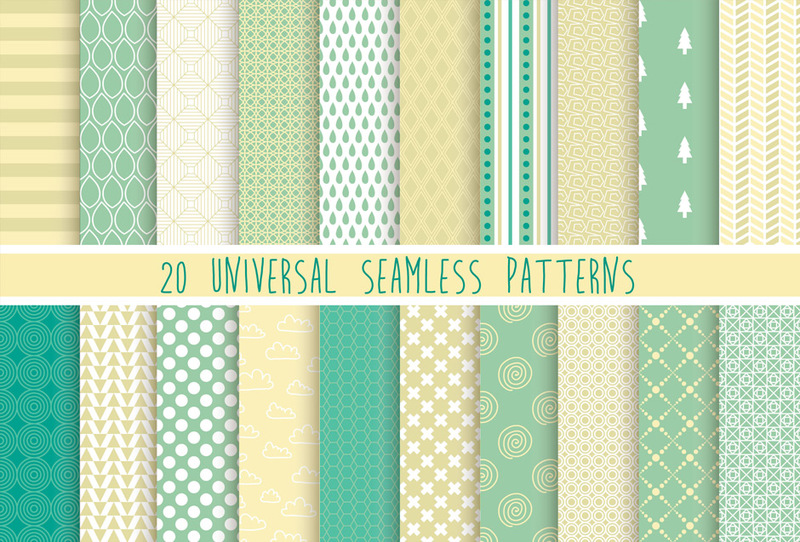 20 universal seamless patterns. Vector format included, so scalable to any size. 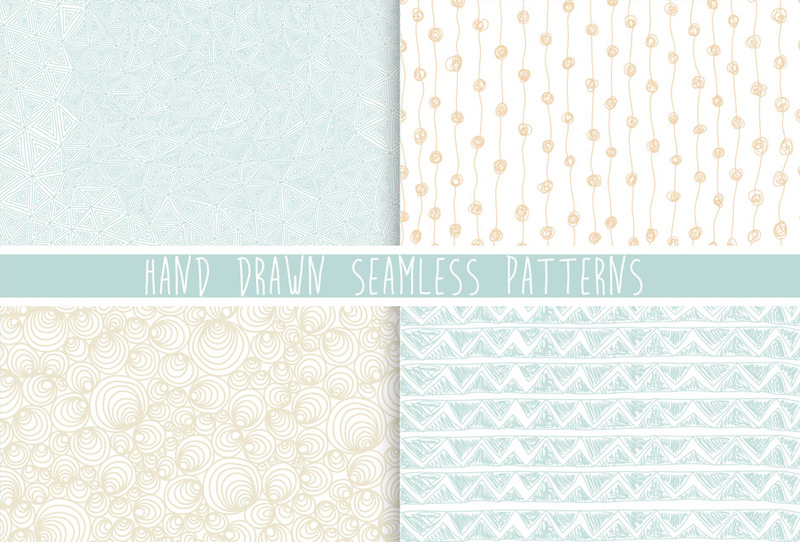 4 Seamless hand drawn patterns. Vector format included, so scalable to any size. 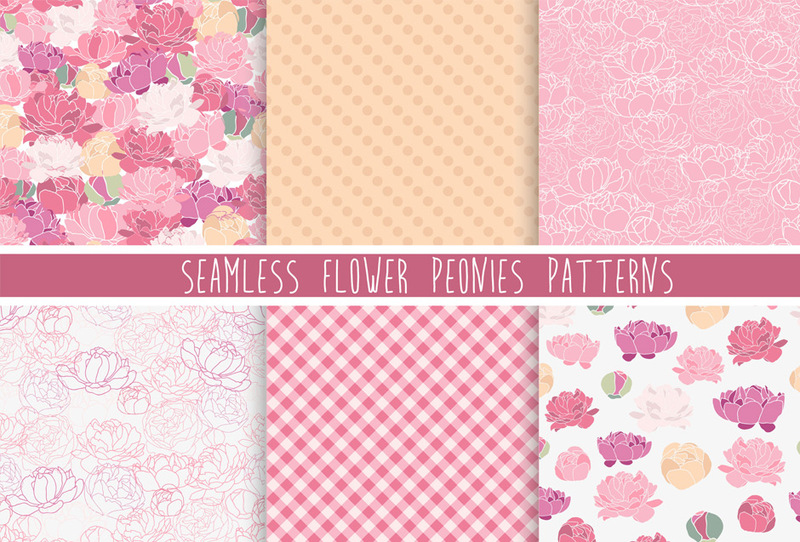 6 Seamless flower peonies patterns. Vector format included, so scalable to any size. 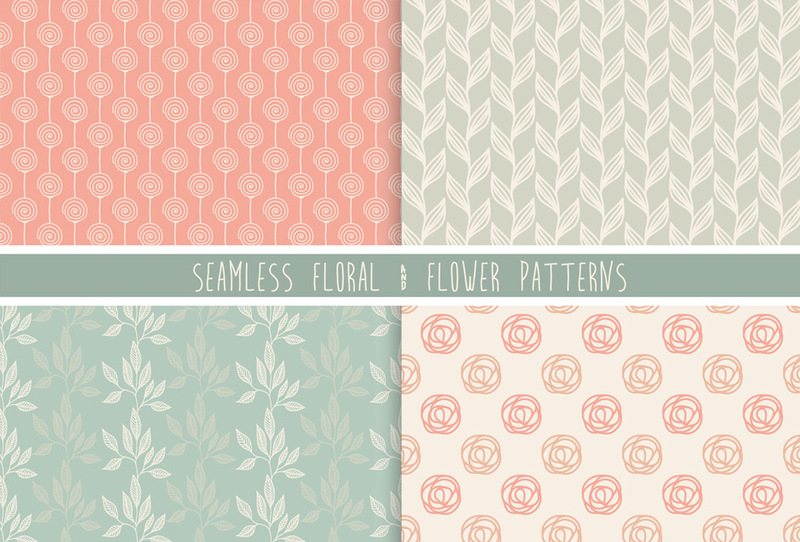 4 Seamless floral & flower patterns. Vector format included, so scalable to any size. 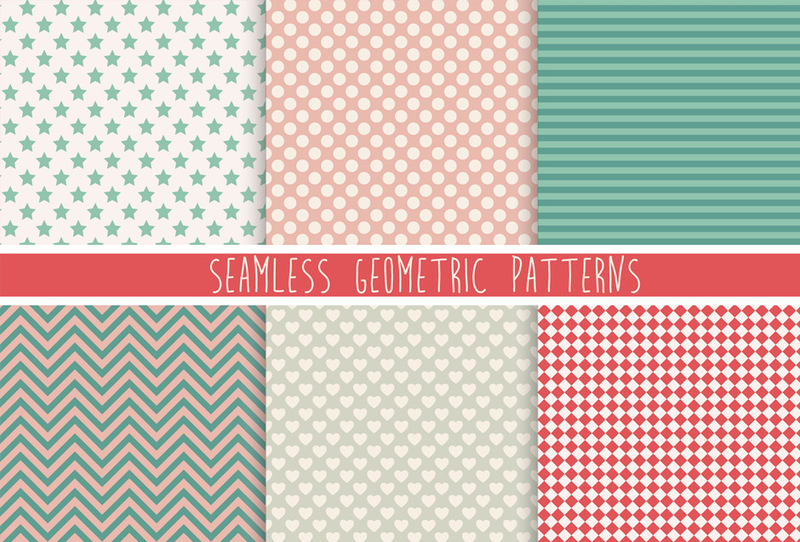 6 Seamless geometric patterns. Vector format included, so scalable to any size. 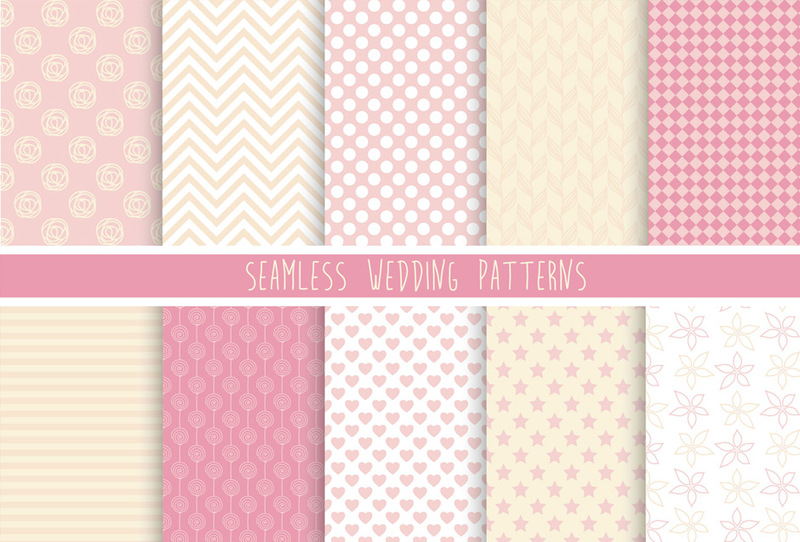 10 Seamless wedding patterns. Vector format included, so scalable to any size. 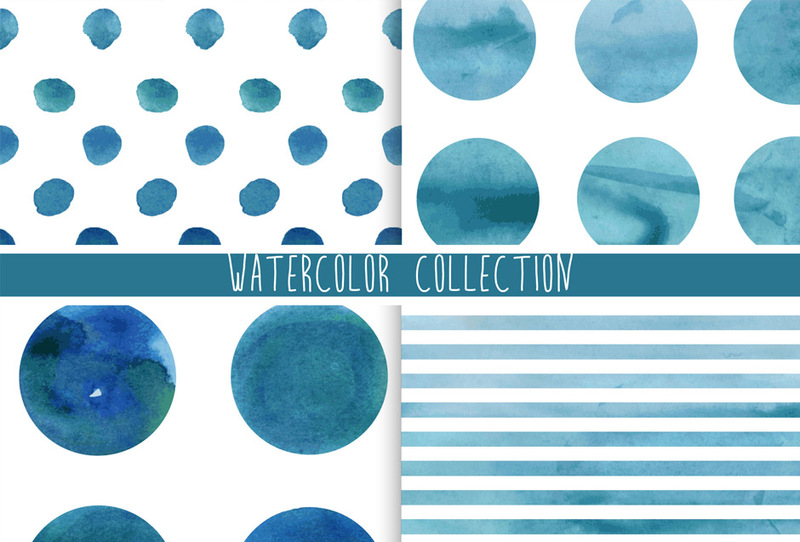 Watercolor vector collection. Vector format included, so scalable to any size. 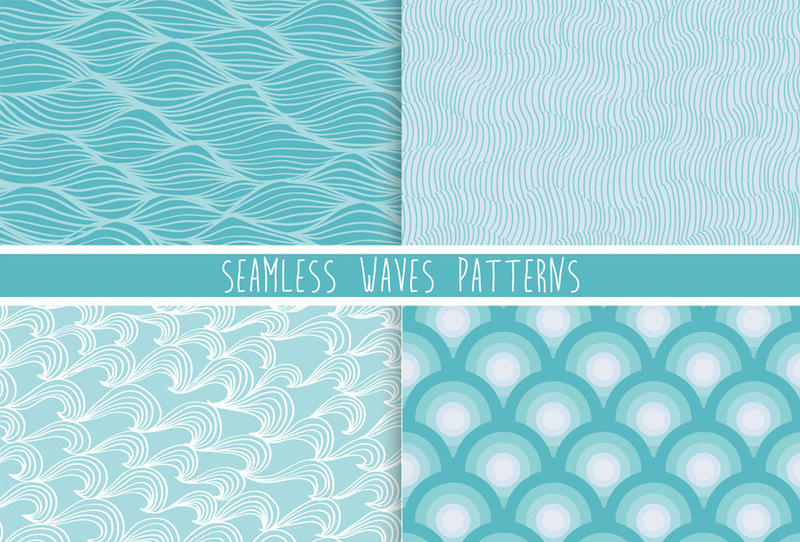 4 Seamless waves patterns. Vector format included, so scalable to any size. Produces a rough bitmap halftone effect. Great for screen printing! 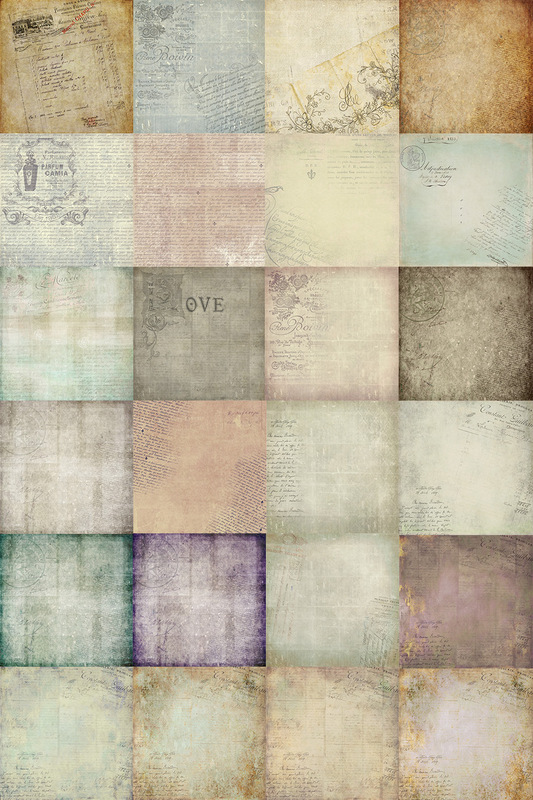 28 hand made print ready textures. 12×18 inches – 600 dpi PSD file. 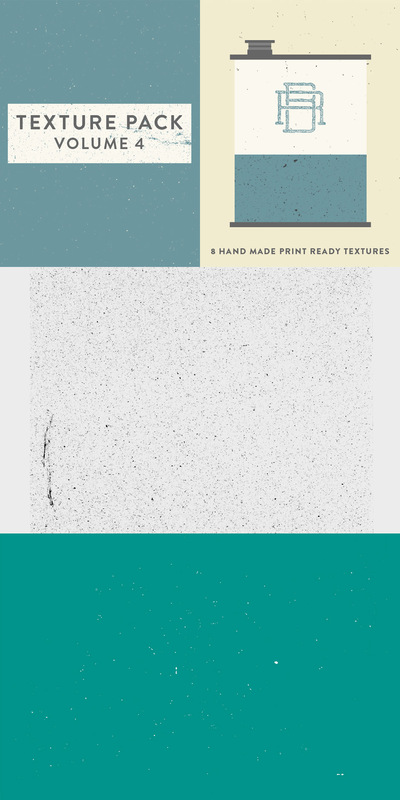 8 hand made print ready textures. 8×11 inches – 600 dpi PSD file. 5 hand made print ready textures 600 dpi Vector textures. New and improved halftone textures! 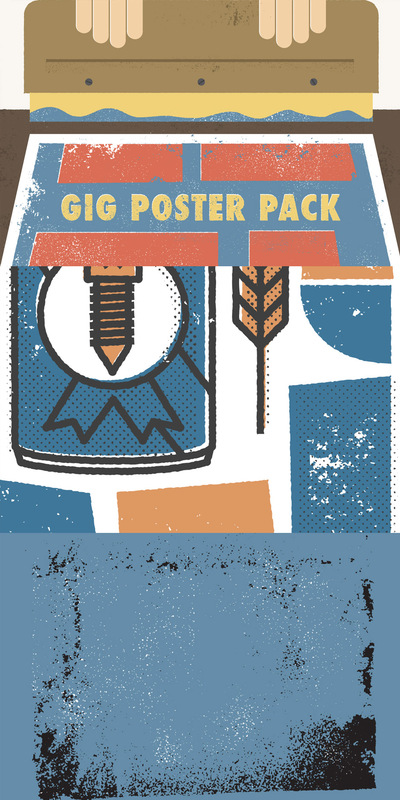 These 12 handmade vector textures were inspired by the textures you see on gig posters. With my background in screen printing I have come to love the unique effects and imperfections you get from a screen print. Nothing can compare to pulling that squeegee across the screen each time and each print being unique in its own way. All of these textures were made by me screen printing them and then bringing them into illustrator to vector. We created Digital Waves after an inspiring field trip to the topographic map museum. Just kidding! There is an aerial feel to the collection though. These abstract linear images are great to add subtle details into your designs. We’ve included vector files for every image so there’s no need to worry about size and resolution. Introducing Vector Bundle, our massive collection of 127 vector elements each crafted by hand then vectorized to achieve as much detail as possible. The bundle contains everything from seamless patterns and textures, distressed borders and frames, hand painted shapes and backgrounds, and more. This is a must have for any designer. India ink produces beautiful texture unlike any other material. It has a distinctive quality that enhances projects with a hand made feel. Bring in some color by adding a Photoshop layer style over these transparent png files. Also try masking imagery and type. Example files and Instructions included. Material fun fact: India ink is produced by combining fine soot with water. The result is quite similar to watercolour. Back then, these little works were usually tossed out with class notebooks they were done in. Now the Internet has given people the opportunity to share these little treasures. We created these patterns from hand drawn ballpoint pen illustrations. We love them and hope you do too. Includes a collection of 45 high-resolution patterns. Watercolour paint creates subtle details that are basically impossible to replicate with a computer. I set out to create this set of intricately hand painted patterns to offer designers the ability to incorporate that handmade detail into their work. It’s a good thing I love detail, because patience was a mandatory skill for these ones. Bring natural watermarks into your designs with this massive collection of our 5 hand painted pattern styles that each come in 10 colour variations and 4 sizes. Please note: All sizes are tileable. The Small and Medium files are ready to go for webwork. Upload your fave file directly to your blog for a beautiful background or bring it into Photoshop and incorporate it into a more complicated design. The Large and Raw files are both super high resolution so they’re great for print work of any kind. Now you can! With our collection of 20 Distressed Borders you can take the cleanest of clean graphics and vectors and make them “edgy”. Dough, dollar, paper, green … These patterns are tileable and that will give you joy money just can’t buy. Includes a collection of 20 high-resolution patterns. 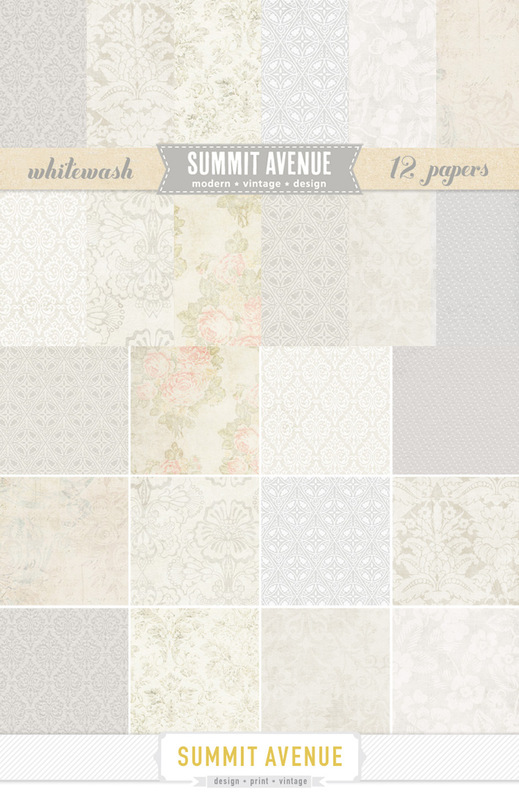 A beautiful set of soft & vintage toned hand painted watercolor backgrounds Designed by Summit Avenue design. These are perfect to add a bit of sophisticated loveliness to your website or blog! Featured in these gorgeous colors: Mint, Blush, Rose, Natural, Lilac, Yellow, Silver, Latte, Grass & Cornflower Blue. You can also create your own perfect color with the Photoshop files that is included with this set. A creative set of vintage textures…many of these are images are taken from flea market finds & building textures that I’ve collected over the years. This set comes with 12 textures in a mix of natural, floral & damask patterns. These work great for backgrounds, adding vintage texture to designs or add fine art texture, tone & light effects to your photographs. 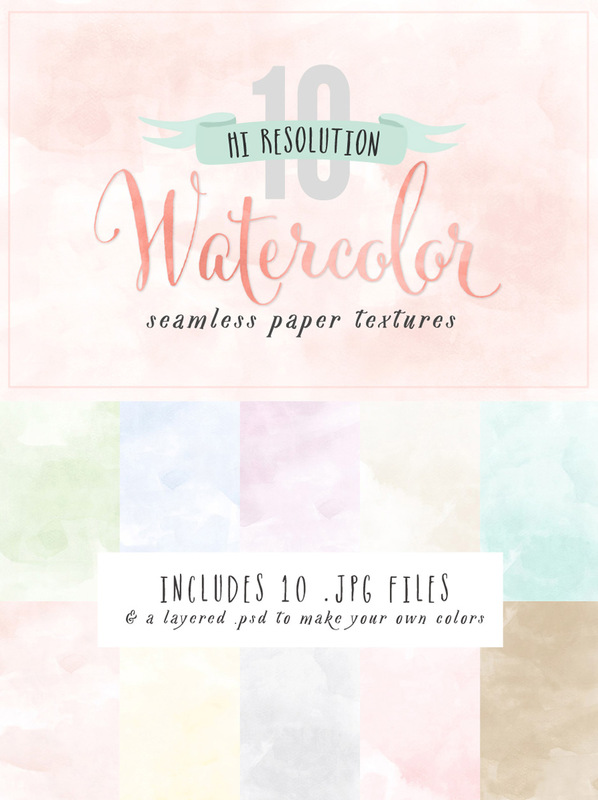 A beautiful set Hi-RESOLUTION digital watercolor papers Designed by Summit Avenue design. These are perfect to add a bit of sophisticated loveliness to your website or blog and printed branding materials!! These patterns will repeat seamlessly. • 16 paper designs, each as a .jpg (flattened image) in a zip folder. Colors will come as shown and can be altered in design software. 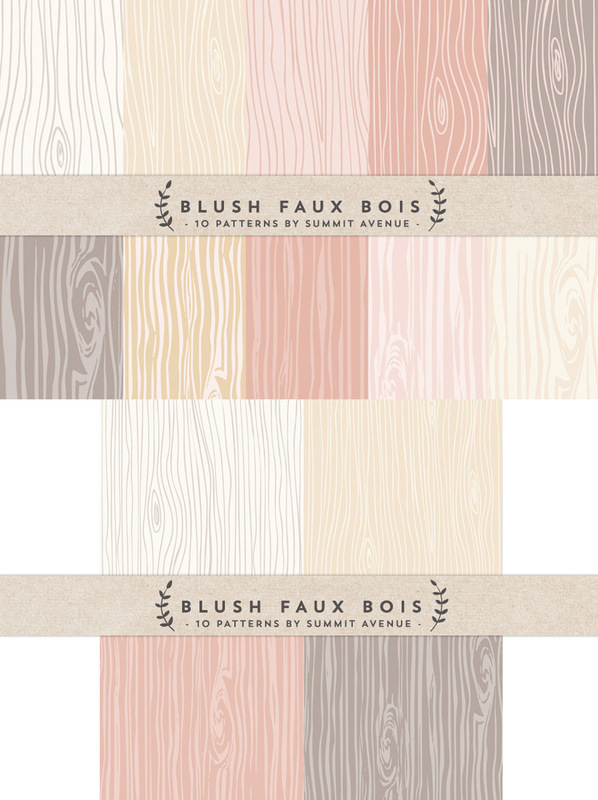 A pretty set of woodgrain textured digital papers in natural & blush tones. • 10 paper designs, each as a .jpg (flattened image) in a zip folder. Colors will come as shown and may be altered in design software. 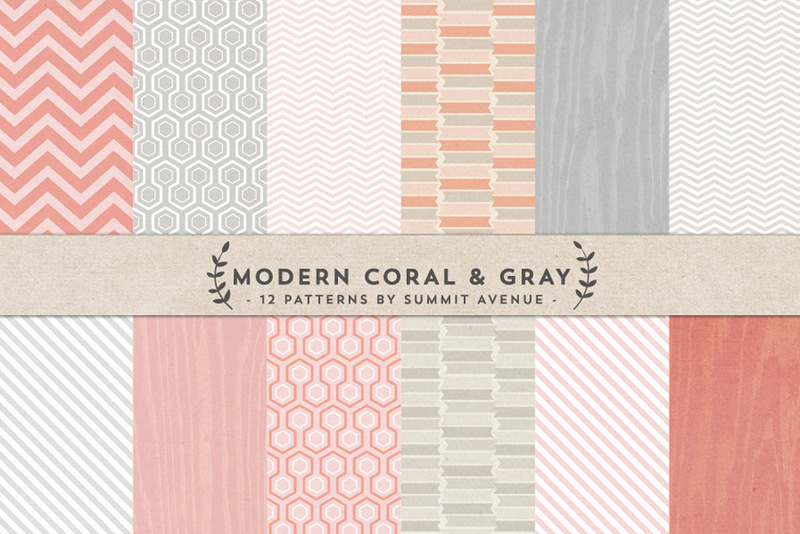 A pretty set of fashionable digital papers in coral, pink & gray designs. Featuring fun, modern & retro patterns. • 12 paper designs, each as a .jpg (flattened image) in a zip folder. Colors will come as shown and may be altered in design software. 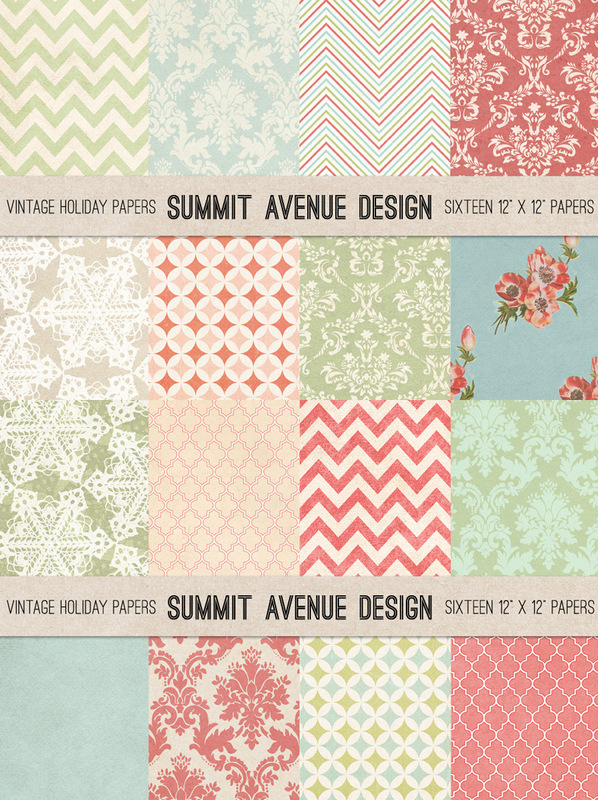 A pretty set of digital vintage creamy toned digital paper designs. These feature pretty antique floral, damask & delicate patterns. • The papers will each measure 12″ x 12″ and will be hi-res (300ppi). Remember the Asphalt markings textures volume 01? Well, meet the new addition to the family. They were captured during a driving break on the way from Cleveland, OH, to Goshen, IN. 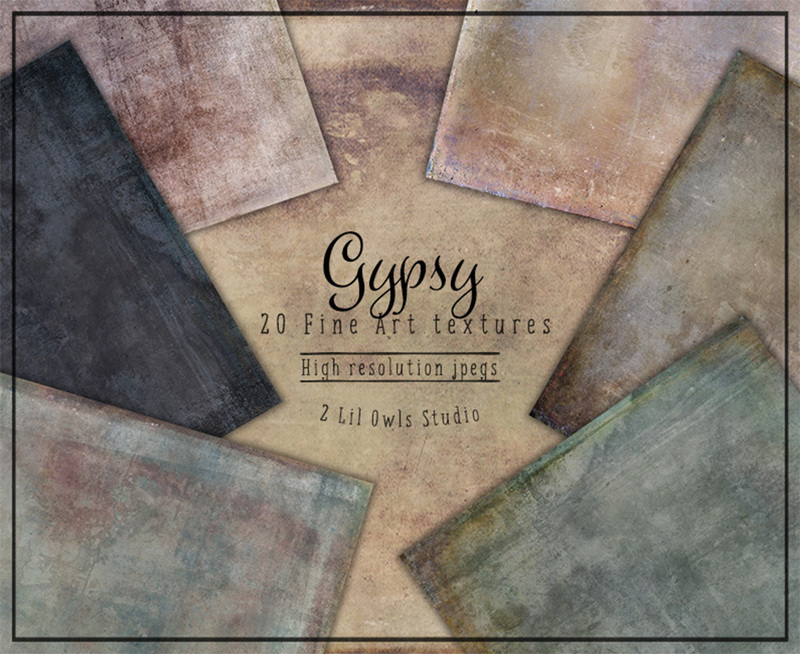 These 39 new textures are perfect for backgrounds, distressing, and more. As opposed to the first pack, these were taken on a parking lot that was in better shape, so the markings aren’t as faded as before. They feature grunge artifacts that range from subtle to nuclear. Some of the textures have been edited through Photoshop CC for color correction only. They are sized at 3264 x 2448 pixels. These textures are closeup shots of a very badly painted industrial building. It’s like if the contractor or employee who did the job didn’t really care about how well the result would look like. He just wanted to get it done, and move on. This resulted in some very sloppy brush strokes, and runny paint. You can tell that the coat of paint is rather thick. You can also tell that there are probably some older coats of paint underneath that whoever did this couldn’t be bothered to sand down. These 25 textures (3264×2448 pixels) will be ideal for rough background building, and to emulate brush strokes. You could also use them for masking, for not-so-subtle results. Do you know about WMC Fest (http://wmcfest.com)? It’s the premier art, design, and music festival in the Midwest. It’s been held in Cleveland, OH since 2009, and it rocks. WMC Fest is about putting a face on the people you tweet late at night, listening to people like you and me share their amazing stories and projects, and generally having a rad time. These 100+ textures were captured in the venue used for the 2014 WMC Fest, the Cleveland Public Theater. It’s a rather old building, with a bunch of cool rusted metal doors, cracked walls, and damaged floors. They will suit a wide range of projects and uses, from subtle distressing to nuclear blast-levels of fading. The images are 3264×2448 pixels, and have been edited with care in Photoshop CC when necessary (rotation, color correction, and exposure). Every once in a while, when walking through a town’s back alleys, you find one of these. An old metal door, that probably close in age to the building itself. Captured in Goshen, IN, these 36 textures show the effect of time on a door made of thick metal sheets. Rain, snow, salt, and indelicate people have left their marks on it through the years, giving it this unique look and feel. The textures are perfect for masking, background building, and more. These are 3264×2448 pixels, and have received minimal edits in Photoshop CC (orientation, and color correction). This small set has been shot in Elkhart, IN. It features 12 textures of a subtly worn garage door. These speckles and light scratches are perfect for soft aging your designs, or simulate the normal wear and tear of time. use them either in layer masks, or while playing with opacities and blending modes. The texture are 3264×2448 pixels, and have been edited as little as possible using Camera Raw in Photoshop CC. Untreated wood has a very distinct look and feel when left to age naturally, out in the open. It takes this soft gray hues, often stained of greens and browns (due to various parasites). On top of being very ecological, I think this is very beautiful. These 50 textures were shot in Elkhart, IN. The first half of the pack is from a piece of fencing that had been paint a long time ago, and left to decay. The second half has been left untreated. The result of the difference in treatment are telling. The starting 26 textures are a tell-all tale of peeling paint. The ending 24 textures are these beautiful wood grains, with a few scratches and marks of the time past. The textures are 3264×2448 pixels, and have been slightly tweaked in Camera Raw (Photoshop CC), for optimum orientation, exposure, and color consistency. 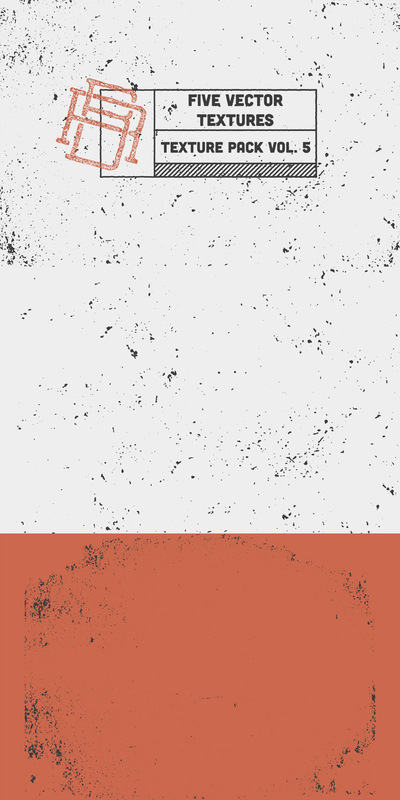 Our “Subtle Grit Vector Grit Pack 01” is a 12 texture pack for the light grunging up you may need to do with your projects. 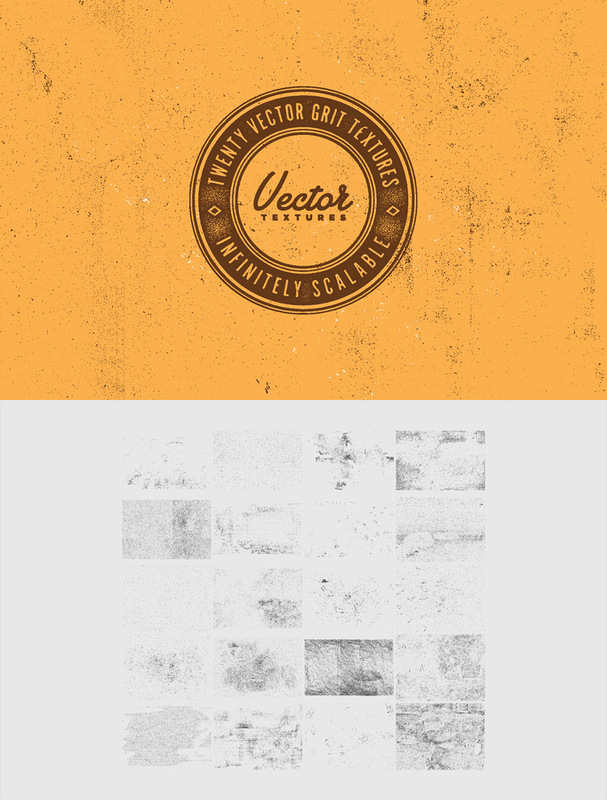 20 Infinitely Scalable Vector Grit Textures. Use on your next project, from shirts designs, stickers, cds you name it, these will do the trick. ✔ Combine any two or more textures for a unique look! • All textures are individually layered with transparent backgrounds. • 10 hi-res .png transparent bg textures (4833px 3217px). • Combine any two or more textures for a unique look! Crafted in warm mustard yellow, deep navy blue, rich teal, coral pink, jade green, pale sage, warm wheat and sweet peach layered on a gentle paper texture, these popular printable papers celebrate modern geometric patterns. This bundle is bursting with a classic and art deco inspired collection of chevrons, triangles, harlequin diamonds, quatrefoil, cat’s cradle, stripes and polka dot patterns. This super bundle of 36 high-res graphic patterned printable pages are great for scrapbooking, greeting cards, gift wrap, collages, tags, blogs, wedding, shower and party invites. 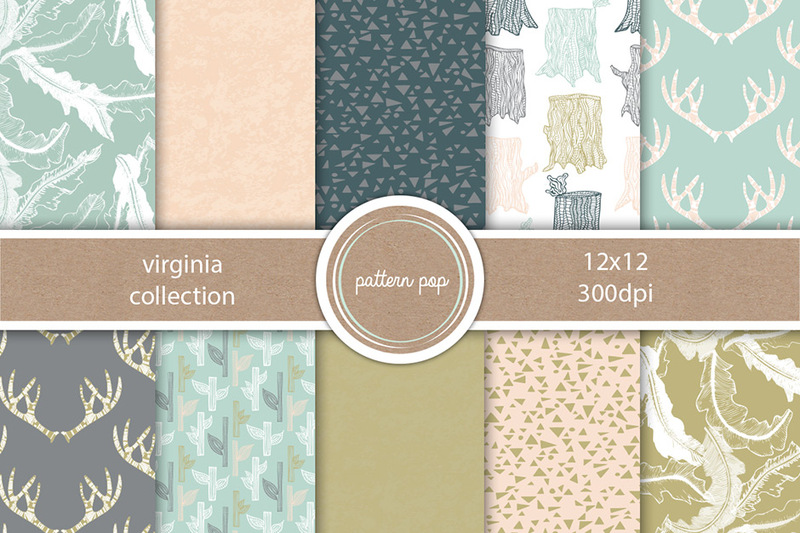 • You will receive 36 printable digital papers in the designs and colors you see here. 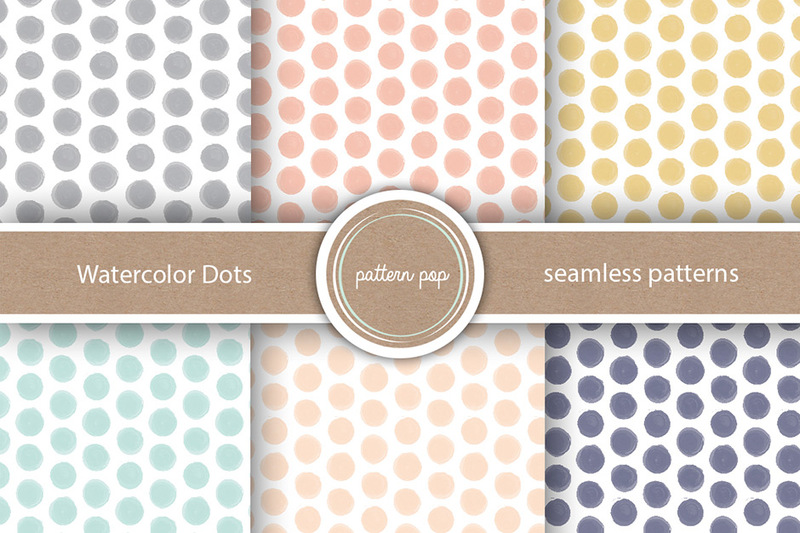 Crafted in sunny tones of lemon yellow, grapefruit pink and tangerine orange, rich coral pink, cool mint green and classic navy blue, these coordinating digital printable papers have a natural, organic feel with hand drawn patterns of lemon slices, irregular dots, chevrons, natural coral, feathers and organic geometric triangles. These 36 graphic pattern sheets are great for scrapbooking, printable wrapping paper, card making, crafts, collages, gift tags, wedding decorations, baby showers and party invites. 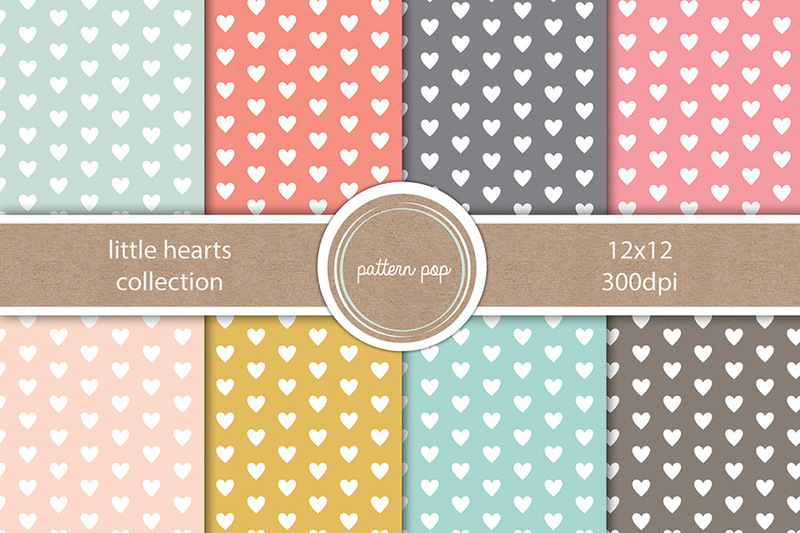 • You will receive 36printable digital papers in the designs and colors you see here. • Each paper is in JPEG format, sized at 12″x12″, 300 dpi, with 3 collections & 12 digital papers in each. Crafted in warm mustard yellow, cool mint green, deep navy & cobalt blue, coral pink, vibrant tomato red, olive and jade, these popular printable papers have a natural, organic feel with modern geometric patterns that include a fun collection of chevrons, diamonds, triangles, starbursts, jacks and pebbles. This super bundle of 36 graphic patterned high-res files are great for scrapbooking, greeting cards, gift wrap, collaged, tags, wedding, shower and party invites. Get all three collections and save over 30% off the price of buying each individual set! • Each paper is in JPEG format, sized at 12″x12″, 300 dpi, 36 papers in the bundle (12 per collection). Imperfection is beautiful! Give your next project a distressed halftone effect with this hand crafted collection of modern digital patterns – featuring schmutzy organic triangles, gently weathered chevrons, mis-registered star prints and a selection of full-page grungy halftone textures. This extensive bundle contains four 12-page sets of coordinating color systems including these rich, gorgeous hues: Aqua, Coral, Mint Green, Tomato Orange, Cherry Red, Navy Blue, Lilac, Water, Wheat, Sand, Mustard Yellow, Petal Pink, Sky Blue and Taupe. Perfect for silkscreen print inspired designs for note cards, scrapbooks, websites, wrapping paper and tons more. Mix and match the patterns and colors to create your very own messy offset-printed look. 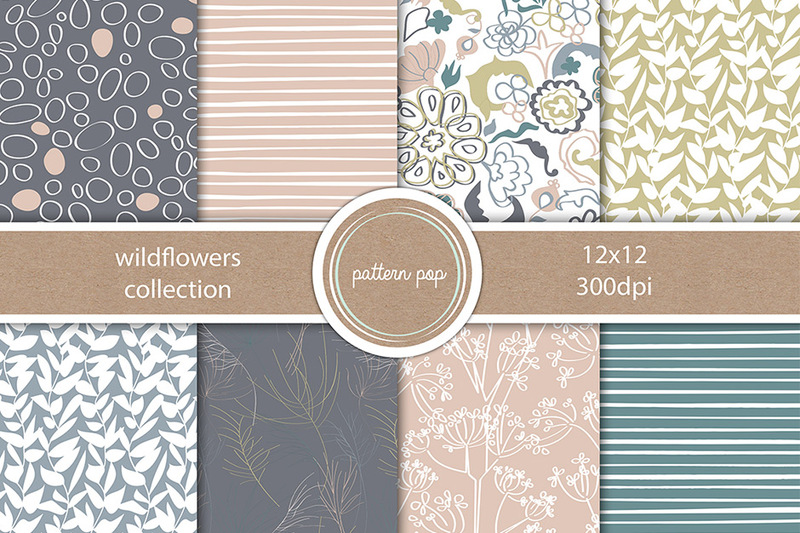 • You will receive 48 printable digital papers in the designs and colors you see here. 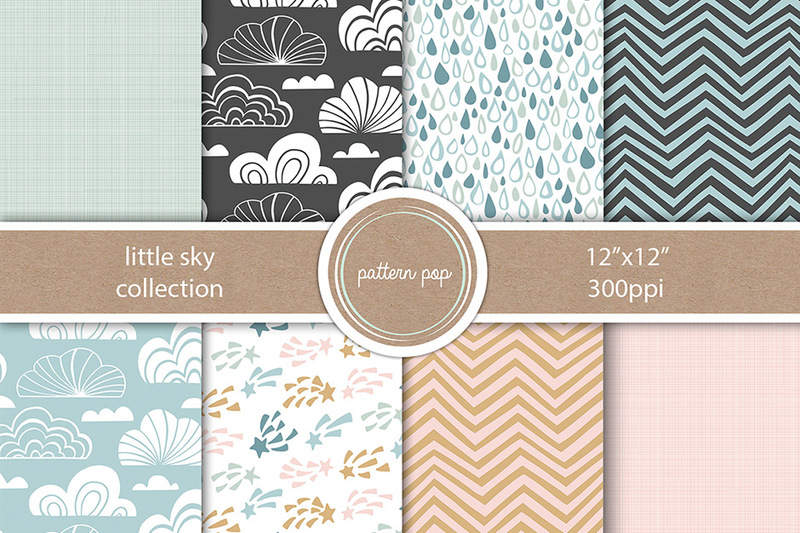 Gentle raindrops, puffy clouds, soft feathers, natural coral branches and bold chevrons create a gorgeous super bundled collection of digital paper patterns, tinted in soft watercolor textures and perfect for scrapbooks, gift wrap and your personal craft projects. These lovely hand painted printable paper patterns come in a gorgeous combination of coordinating hues including: blush pink, soft coral, mint green, silver and pewter gray. Great for your next craft project you can use them to make your own spring rain inspired note cards, gift tags, wrapping paper, canvas bags, t-shirts, scrap book collages, party invites and more. Mix and match the patterns to create your very own custom look. 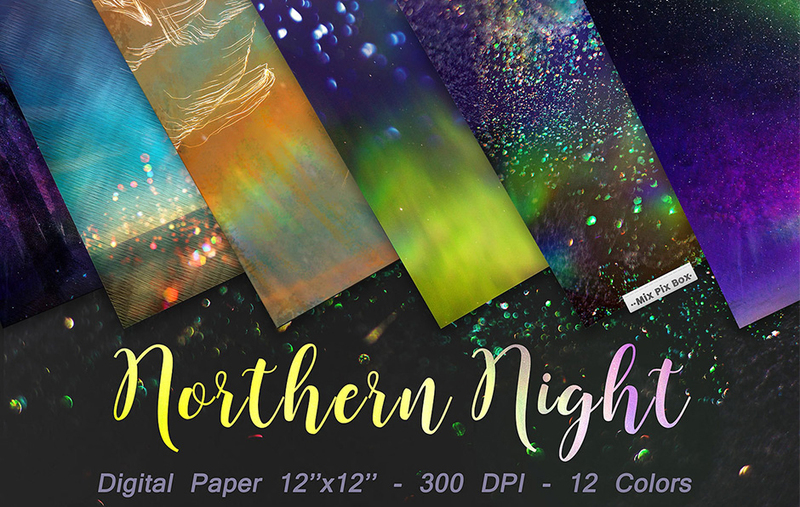 • You will receive 24 printable digital papers in the designs and colors you see here. Go wild with these high-res digital papers inspired by the natural world. Jam packed with three collections of lovely printable patterns featuring hand drawn wild zebra stripes, feathers, natural coral and shagreen dot patterns in a lovely collection of soft pastel pink, coral red, mint & jade green, ebony black, warm tan, cocoa, cream and off white tones. These 36 graphic pattern pages are great for any creative project including scrapbooking, greeting cards, wrapping paper, wedding invitations and decorations, note cards, gift tags, blogs and personal graphic design projects. Crafted in warm mustard yellow, deep navy blue, coral pink and jade green, these popular printable papers have a natural, organic feel with modern geometric patterns that include a fun collection of chevrons, diamonds, triangles, feathers and scribbles that spell out “Hello”. This super bundle of 35 graphic patterned high-res files are great for scrapbooking, greeting cards, gift wrap, collaged, tags, wedding, shower and party invites. 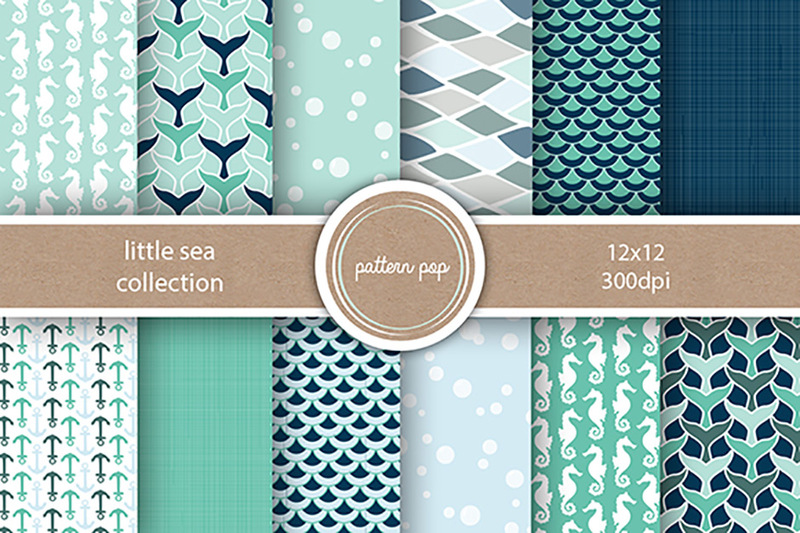 • You will receive 35 printable digital papers in the designs and colors you see here. This is for a beautiful set of original patterned digital papers. Perfect for backgrounds, blogs, scrapbooking, paper crafts, etc. All files are in CMYK color mode which is best for printing. For web use (blog and website backgrounds) change files to RGB color mode and 72 dpi resolution. This is for a beautiful set of original patterned digital papers. Perfect for backgrounds, blogs, websites, scrapbooking, paper crafts, etc. This is for a set of original patterned digital papers. Perfect for backgrounds, blogs, websites, scrapbooking, paper crafts, etc. This set of 8 seamless patterns is perfect for website/blog backgrounds, scrapbooking and so much more. – 2 layered seamless Photoshop files – 1 web tile and 1 12″x12″ paper – directions on how to change colors. A hand drawn set of patterns inspired by nature. 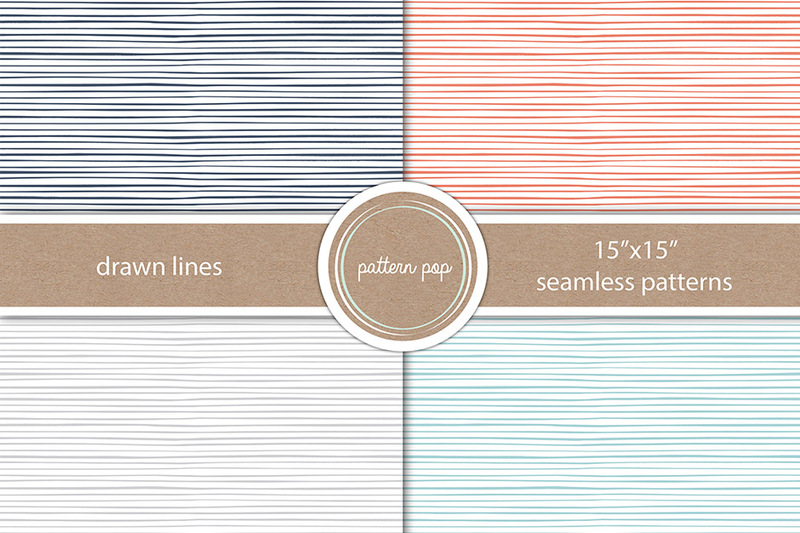 This set of 4 seamless patterns is perfect for website/blog backgrounds and so much more. – 2 layered Photoshop files – 1 webtile and 1 12″x12″ paper – directions on how to change colors. This watercolor design is a perfect way to add a little fun to website/blog backgrounds, card designs, banners, scrapbooking and so much more! Resell these resources/files directly, or within items/goods where they can be extracted in their original form. Share these resource files with others. This is a single user license. Please contact us to enquire about multi-user licenses. After many community requests, we’re including a useful .pdf browsing guide. This allows you to easily see which resources are included in each folder, without having to refer back to this deal page. (This is included with your deal download). This bundle includes thousands of best-selling patterns, textures and backgrounds. The resources are organised into carefully labelled folders, and a .pdf guide is included to make browsing and downloading them easier for you. We've focused on quality and quantity with this bundle. These items are wildly popular, even at full price. Deal includes extended licensing. You can use these items within commercial projects and items for resale. File size is approx 5gb (split into 11 parts) for easier download. A pdf guide has also been provided. I have been looking for some awesome backgrounds and this entire set is over the top!!! This looks amazing please let me know if there’s any way of getting this pack. Thanks for getting in touch! I am really sorry but this deal is now completely finished and it is unlikely that we’ll be offering it again soon. I am really sorry about this, however, we always offer new bundles every two weeks and I’m sure we will have another similar bundle again. You may have seen that we have launched our own Marketplace as well last week- this will allow you to grab some of the most popular products from past bundles as a kind of second chance if you missed them the first time around. So if there was a particular item you were after from the Massive Pattern, Textures and Backgrounds bundle, you may be able to grab it in our marketplace! If there are any other particular items from this deal you were interested in that are not currently featured in our marketplace, please don’t hesitate to send me some links, and I’ll be sure to get in touch with the designers to try and secure the resources for you. If you were looking work with them straight away, please do let me know which ones they are, and I’d be happy to point you towards the designers stores, where you can purchase them individually. I hope this helps, John! If you have any other questions or if there is ever anything else I could assist you with please do get in touch. I’m always happy to help! I’ve only just discovered this pack and it’s expired, just my luck. Can you please add me to your list as well if you should ever run the deal again. Hey Meg, no problem at all, I’m emailing you now about this to help. Thanks so much for taking the time to comment. Please add me to the list for this as well! Consider it done :). You’ve made the list lol! Your on this list too Emerald! Can you email me when this bundle becomes live and available again??? I don’t want just one or two, I want them all! Thanks! Thanks for the comment! It is a pretty awesome bundle :). I have added you to the master list for this bundle and if it goes live again, I will pop you an email to let you know. I am really sorry that the deal has expired. What exactly in the bundle did you need and I can try help you out? I’d love to buy this. Please email me as soon as it’s being re-run. Many thanks. Really truly hoping to see this bundle being re-run soon! I’m afraid this bundle is now well and truly finished, so I won;t be able to set you up with this, just yet. But I’ll be sure to email you as soon as this deals is live and available again. Will you be reposting this bundle deal anytime soon? I missed it and I am so bummed! I really wanted to purchase this one. I have been looking for some awesome watercolor backgrounds and this entire set is over the top!!!! Going to make my purchase now. !!!!! You’re very welcome Amanda. We hope that you love using your new resources :). 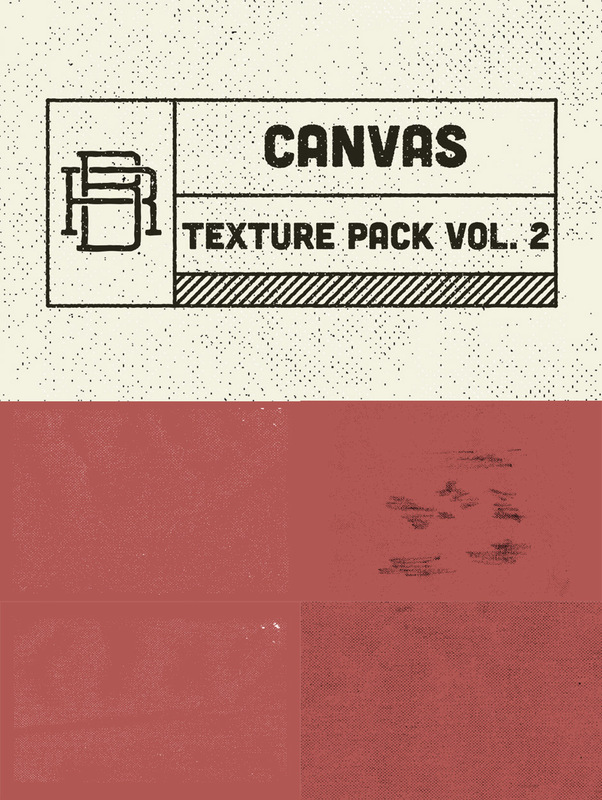 I love the texture packs from Rob Brink. Any possibility of a letterpress or screen print gig poster tutorial in the future? Thanks very much for the awesome suggestion. We’ll pass it on to Jo and Simon to see if they can create some tutorials like that. Did you get a chance to check out the three gig posters Jo created a little while ago: https://www.designcuts.com/design-cuts-deals/the-massive-patterns-textures-and-backgrounds-bundle/create-three-richly-textured-band-posters/? It’s been so long since the deal ended. Would you still allow me to download this bundle? I see so much value in this offer! Thank you! I’m so so sorry, but unfortunately this bundle is now well and truly finished, so I won’t be able to set you up with it. I will definitely email you though, as soon as it is available again. Big promise. Is it still possible to get it? I’m so sorry Andreas, but this bundle is now well and truly finished. I’ll be sure to email you though as soon as it is available again. I can’t believe I missed this…any chance it will come back around?? I am really sorry but I’m afraid that this deal is now well and truly finished, so I won’t be able to set you up with this. However, sometimes we do re-run an older deal as a special bonus, in conjunction with a new deal so I’ve added you to the master list for this bundle and I’ll be sure to drop you an email as soon as this bundle is live again. I can’t believe I’ve missed this! Can I still buy it? I’ll just dropped you an email about this. Will this deal be coming back? I missed out again!! I’ve just dropped you an email, Catie. Haha stuck in the boonies. 🙂 Let me just email you about this, Angela. Hey Lena, let me just drop you an email about this. Some aren’t actually patterns! For example, Blixa6 square jpg images, as they don’t match when tiled (neither left/right nor top/bottom). I’ve emailed you about this earlier. It seems that while the majority of this bundle includes seamless, tileable patterns, that this particular resource is meant to be used more like a digital paper. There are however ways of cropping the images in a way that they can be tiled. Sorry again me. missed the deal. May I buy it still? Hi! I’m wondering if there’s any way I can still get this deal? I completely lost track of purchasing it before it ended and I’m really bummed because it looks amazing! It looks like we’ve just missed this deal? We’re really keen to use it for a current job – is there any possibility you could still make it available to us at the reduced rate? Is this still a vailable? Yeah, absolutely. Let me just drop you an email to make sure you’ll definitely get this deal. which is a dead end. No download, nothing. I would like to purchase it, what is the problem? I’m so sorry to hear you’re having troubles purchasing this deal. I checked the link you posted here, and it seemed to work fine for me. I’ll drop you an email about this now, and we’ll get this sorted for you. No problem at all. Thanks Tina! great! 😉 beautiful textures here. Technical question: why use the textures as smart objects? What is the advantage over just dragging the image in as is? Thx! Turning any image into a smart object it a great habit to get into. If you want to resize the image throughout the design process you can do that without deteriorating the quality of the image. You can make it smaller and then bigger again (within the limitations of the original size you dragged in of course), and it will remain as sharp and crisp as it was when you first added it to your piece. Hope that helps. To add to what Tina said… by converting to a Smart Object… you can also use Smart Filters which will allow you to go back and edit your filters at any time vs using regular filters and being limited to your history or the time you have your file open. Additionally, Smart Filters come with their own masks and blending options so they add a lot of flexibility to the mix. I find Smart Objects to be so useful that I reset my defaults so that all applicable images automatically come in as Smart Objects (including from Camera Raw). This pack looks like an amazing deal. When you have time can you please let me know the sizes for the India Ink Washes textures? Maybe I missed it- but I did not see the rez on those. Sorry about that, it seems like we did miss that out. The India Ink washes are 3000×3000 px, with a resolution of 72ppi. I hope that helps. These deals are just too good to pass up – resistance is futile! One HUGE suggestion or request….. PLEASE put all the things that you have on the deal page into the PDF that you can print out. This is the 2nd time I’ve been disappointed in the PDF guide you give with the deal – it is nearly useless in my opinion, for what I need. I want to be able to flip through it to see what is actually in the download so I can go back and get the file I might want – and know what folder it is in, the company name etc. so I can locate it to use in a project. It may be weeks, months or longer before I go to use something from the massive download. If the PDF had the bits that I saw on the website that showed all the various files I get with the download that would be HUGELY helpful. I hope I don’t sound too negative, as this is a great deal and I love it… but it would be perfect if the PDF would show all the files so I could print and flip through it to find what I need. Hey Pam, thank you so much for the kind feedback, and for you suggestion about the PDF guide. I understand what you mean with regards to the guide, but it’s unfortunately something that is pretty impossible to achieve. If we included full previews of everything included in every product, it would end up being a minimum of a 200 pages long file, as even just the resources of one part of the bundle would fill at least 3-4 pages. Having the full deal page in PDF form would just become absolutely huge. By having the summary preview for each item, this does allow you to quickly see what’s in each folder, and browse your items effectively. It may not show everything in extreme detail, but we are working hard to come up with more effective ways to show this. For now, of course all the past deal pages are viewable (www.designcuts.com/past-deals), which will let you see the full details of each product in the bundles. I hope you understand, but we’ll definitely take you feedback into consideration, and see how we can improve the guide. i’m not even done downloading the last bundle of goodness i bought and this happens! Haha the bundles do start taking quite some space on my hard drive as well. You know you can always go back to your account page and download the resources, as they will be available for ever. 🙂 So if you don’t want to download everything at once, you could just download the PDF guide in the helpful documents, and then only grab what you need. That might help to manage the space on your hard drive. That’s great to know. I already have a few of your bundles and space is becoming an issue. Knowing that I can leave these in my account and access as needed is a big help, as are your PDF guides. The whole thing is fantastic! And as always the selection is amazing. Always happy to see more Lil Owls stuff. It is always breathtaking. Thanks again for the great bundle. Thank you so much for the kind words, Lorraine. I’m so glad to hear you’re loving your new bundle. If you create anything with the textures and patterns, please do send us some of your designs. Tina, here is a link to a book cover I did using 2 Lil Owls textures. After I scanned in my painting I did a little texture work to give it the mood it needed and the type texture along the edges go along with the fact that the main character in the book wrote his life story down on a yellow legal pad for all to read. Thank you so much for sending us your design. It’s gorgeous and makes such a beautiful book cover. I love the soft, summery texture of it. Would it be possible for us to feature this on our social media page? What a small world, I had already seen your beautiful cover design when the author shared it on her Facebook page, she and I were once neighbors on a ranch in Texas! Opening this bundle zip-by-zip was like opening present after present. Amazing high quality designs and textures I will get plenty of use out of for years to come. Thank you so much for another wonderful collection! Haha, I love that. Like opening presents on Christmas morning. 🙂 Thank you so much for your lovely feedback. It really means the world to the whole team. This great deal sold itself, but the PDF browsing guide makes this a no-brainer and sealed the deal. You guys rock!! Thank you so much for the kind feedback, Steve! We really appreciate it. Really loving the watercolor theme the design world’s embracing right now :D. Because I love colors and combinations too much. I love your deals! I’m so happy I found your website! Thank you so much for the kind feedback. I’m glad to hear you’;re loving this new bundle. Please let us know if you create anything with it. I’d love to check out your work. WOW! Absolutely amazing! Just purchased this deal and can’t wait to get started. I was looking into buying the Digital Waves pack just last week! This is awesome. Wow, I couldn’t say no to this one !. Fantastic, thank you. I just kept scrolling down & down…. The bundle was never ending. The might be the best one yet. I already have toooooo many favorites. I’m overwhelmed and excited to use everything. Now I’ll never get my ‘other’ stuff done! Will you give instructions or ideas on how to use some? Thank you so much for the kind words. This really is a very exciting bundle. I hope you’ll love using it, and if you design something, please do send us some examples. As always our resident tutorial authors Jo Fallon and Simon Hartmann will come up with some amazing tutorials for the second week of this deal run. You just gotta love how DesignCuts is giving the Cleveland design world some major props. Go, Simon, go! Just got back in to town, missed YESTERDAY’S bundle by a few hours, what are the chances of sneaking my order in for yesterday’s bundle? I’ll just drop you an email about this. Truly sweet bundle, nearly 5 GB of artistic treasures! There’s practically something here for any artistic endeavor, my advice, do not miss this one, because you’ll be kicking yourself later if you miss this one. C’mon, hone up, Roz has got to be a spokesperson for you guys, if not she should be, she must never sleep! I do have poor sleeping patterns, but I’m on the other side of the world from Design Cuts, that’s why I get to see when it’s first put up – its usually around 1PM EST! I’ve found some too, but the Terms of Usage are horrendous and tie your hands to commercial usage. So when I see what I am looking for at Design Cuts, I get a little OVER excited. Hey Jerry, Thanks so much for the awesome feedback. It really does have something for everyone. Holy Cow! This is an amazing pack and filled with so much digital goodness. The email promoting this pack in now way does this lot justice. It’s downright crazy how much is here. Can’t wait to start playing with it all. Thanks for the tip, Wendy, we’ll get right on that to improve our newsletter. 🙂 So glad to hear you’re enjoying this new deal. 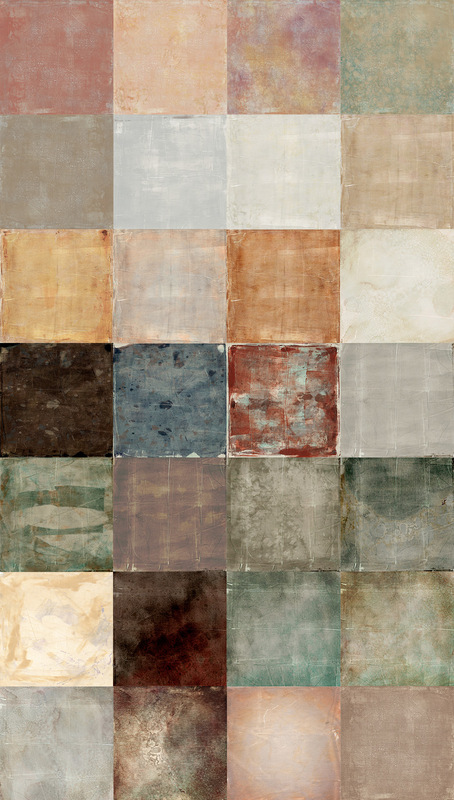 Please do let us know if you create anything with these new textures and backgrounds. Loving all those watercolours and India Ink washes! These look great! Especially liking the watercolor patterns. Yeah I immediately fell in love with them as well. The bold colours are just gorgeous. Like seriously, this is over the top good!!! Thanks so much, Sasha-Shae! What’s you’re favourite part of the deal? OMG, I was so excited, I missed that the price was less expensive! WOW $25 for all of this goodness!!! The love and creativity that went into this package is beyond ~The creativity, the love, putting it all together! I AM SO EXCITED!!!! REALLY!!! OMG, OMG, OMG…. OMG, OMG, OMG…. OMG, OMG, OMG…. This is EXACTLY what I’ve been hoping for. The water colors, patterns, textures, stripes, zig zags, lines (of all sizes and directions), polka dots (small, big, bigger), diamonds, diagonals, EVERYTHING ANYONE can want in a background and MUCH MUCH MUCH MORE! I have been searching for these all over. I’ll admit, I found some, but the terms were never quite right. THANK YOU SO MUCH Design Cuts. YOU HAVE OUTDONE yourself! Design Cuts… YOU ARE… SIMPLY THE BEST!!! I can’t wait to shout this deal from the virtual rooftops! Any designer, scrapbooker… virtual or print… who does not like these and buy them needs their head examined!